To honour George Cramm, who died last month, we publish below the notes of the speech he gave five years ago, to commemorate a unique moment in the history of refugees in Canada which he led, the Political Prisoner Program. We also reproduce the text of the obituary prepared by the Anglican Journal, which highlights the many institutions which benefited from his commitment to ecumenical social justice. We thank his close colleague and member of the CNHH, John Foster, for sharing these documents as well as the obituary published by the Toronto Star published an obituary on March 21. John first met George via United Church youth work in 1961, and was best man at his wedding. The murderous coup of Sept 11, 1973 created chaos in the streets of Chile. I don’t need to tell you of what was going on. Bodies in the river flowing through Santiago, people held in detention at the National Stadium, atrocities at the highest level and a shocked and stunned international community. And, as time moved on, people continued to condemn Pinochet and his supporters who were saying false and outrageous statements about the situation and their actions to “save” Chile. For example, in a well publicized speech, Pinochet told the world that there were no political prisoners in Chile – all the people in jail were common criminals and if governments around the world wanted to have them …. they were welcome to take them. The telephone lines began to buzz between solidarity groups in Chile and solidarity groups in Canada and elsewhere. “Canada is a country of immigration”, they said. “Why don’t you accept to take some and indicate that you know the people in jail are political prisoners and not common criminals. In Montreal and Toronto, as well as Santiago and Geneva, Canadians concerned about what was going on in Chile began to discuss whether such a response was possible. Then a meeting was arranged with the Minister of Manpower and Immigration by a small group of persons who had put together a proposal. Essentially, the intent was to grant visas to a small but significant sized group of political prisoners, who would come to Canada and be a symbol to the world that the Pinochet regime was lying. Church organizations in Canada and in Chile were prepared to support the Canadian government in this venture. There had been a precedent, and the climate was good. In 1972, Canada had run a special program for Ugandan Asians who had been given 90 days to exit the country, and this had been considered a big success. The Trudeau Liberal Government was in power and the Minister himself, Robert Andras, was open to the idea. Negotiations began with the Government. The Government was prepared to provide a special Immigration Officer for the program, Canadian Roman Catholic Orders with parish programs in Chile were ready to contribute and resources from the “Comite Pro Paz” (later to become the “Vicaria de la Solidaridad” were willing to work on the ground. The Inter-Church Committee on Chile arranged for two persons to go to Chile from Canada to work with the Immigration Officer, and to provide a link between the local participants and the Canadian Government. I was privileged to be one of the links and the other was Fr. Francois Lapierre, from Montreal. With all of the pieces in place the Government agreed to the experiment and set a target of 100 prisoners and their families. The program gears up ……….. While the program had been agreed to in principal…. there was still much to be settled about operations once the team met in Santiago. When we first went to the Embassy which was then located on the upper floors of a downtown building just off the Alameda, we found that the entrance door of the Embassy was permanently guarded by a uniformed officer who monitored all arrivals. (The Embassy itself was Canadian territory) That presence was enough to produce a chill in the hearts of family members wanting to register for our program. We decided that we should work-off site and agreed that we would use the parish house of the Canadian priests to conduct preliminary meetings with family members of the prisoners. We also had an internal language problem – my French was weak and Francois English was weak. We therefore agreed that the project would work in Spanish except when working directly with the Embassy. From the initial decision to have a prisoner program, the Embassy had been receiving inquiries and they had encouraged people to write to the embassy. So when we arrived we were given a large number of files to examine. The Embassy made it clear to us that we were to take files in the order in which they had been received. We were less than enthusiastic. We wanted to deal with people on the basis of need – not on the basis of who had heard first about the program. We were told that it was a principal of immigration policy, to deal with first in / first out and that that was non-negotiable. We became equally adamant. We argued that under Chilean law, any prisoners who accepted to go overseas were doing so under a legal provision to serve their sentence abroad and with no right to return to Chile even when the term of sentence had passed, and this meant that the limited visas needed to reflect that seriousness. A prisoner who would be released in two months did not have the same urgency as a prisoner condemned to life. The program almost died over criteria. Cables flew back and forth between Ottawa and Santiago while we sat and waited. Ultimately Immigration caved – it would have been too embarrassing to have stopped it then. Need, won the day. The critical criteria to receive a visa were length of sentence and number of dependents suffering because of the jailing of the breadwinner. Of course the desire of the prisoner to participate not the desire of the family was pivotal. With the help of the Chilean organizations working with prisoners families, family members came to the parish house from early morning until the day ended at curfew. Indeed we grew to enjoy curfew…..we got a chance to refresh ourselves, have come delightful meals, and have discussions with the priests if the parish. And of course……prepare ourselves for the visits of the next day. In the meetings with the family members we would discuss our criteria for selection of the persons that would receive the visas. Our stand-off with Ottawa and the Embassy was seen as right and just. We received affirmation of the criteria time after time. People would tell us…..”You are right, the people you mention are the most deserving, my son, husband, brother has less priority.” We were amazed and impressed. With priority in selection decided and a preliminary list of persons chosen the process or visiting with the prisoners themselves and their interview with the visa officer began. For the next few weeks, we traveled the country to the jails where the prisoners were located. From Antofagasta in the North to Temuco and Conception in the South interviews were held. The Visa Officer met the prisoners outside in the exercise yard to assure that no one overheard what was being said. One of the principal areas of questioning was to assure that the prisoner ( who, up to this point had no contact with the program) wanted to participate, and that the prisoner was not being pressed by relatives to leave the country. The list was finalized and the prisoners and their families came to Canada. 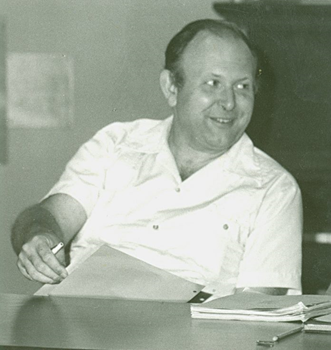 George Holtby Cram, a former secretary of the Primate’s World Relief and Development Fund (PWRDF), died Friday, March 16. He was 79. Cram served the Anglican Church of Canada in a variety of roles from 1968 to 1989, when he stepped down as PWRDF secretary. Cram was known for his expertise in international development and his advocacy for refugees and human rights. Born in Montreal in 1938, Cram attended McGill University, where he completed degrees in science and divinity, according to an online obituary. He worked and traveled considerably throughout South America, developing a fondness for the region. Cram worked for a time for the Latin American Working Group (LAWG), which focused on advocating for social justice in Latin America. During the rule of Augusto Pinochet in Chile, the group was instrumental in the eventual granting of Canadian visas to some political prisoners in that country. Cram himself traveled to Chile to select the prisoners to be released. Jane Maxwell, who worked for PWRDF from 1978 to 1988, remembers Cram for his staunch collaborative approach to social justice issues, and his involvement in coalitions of church groups and other non-governmental organizations (NGOs). Elsa Tesfay, PWRDF’s director of finance, administration and operations, began working at the fund not long before Cram’s departure and remembered him “as one who did not shy away from [speaking] his mind, especially on matters he was passionate about, such as human rights and refugees.” Tesfay recalled that he and Kathleen Ptolemy, another PWRDF staff, had traveled across Canada to set up a network of diocesan coordinators of volunteers for refugee work. “It was the first time that any church had set up such a network,” Tesfay said. The network still exists to this day, raising awareness of refugees and mobilizing Anglicans to sponsor them. Cram served the church both internationally and nationally, first in community development in Venezuela and the Dominican Republic. He was a projects officer for PWRDF before becoming its secretary and deputy-director of world mission. In 1980, also worked as president of the Canadian Council for Refugees. He was a refugee consultant and a member of the Immigration and Refugee Board of Canada for 10 years. He was a treasurer for AURA, a refugee advocacy group, and volunteered at South Riverdale Community Health Centre, Toronto. Cram also chaired a study on government funding for the Canadian Council for International Cooperation, a coalition of Canadian volunteer organizations, and sat on the board of Partnership Africa Canada, now known as IMPACT, which monitors human rights issues involving conflict diamonds and minerals. A visitation is to be held Wednesday, March 21 from 6-8 p.m. at Trull Funeral Home & Cremation Centre in Toronto, and a funeral service Thursday, March 22 at 11 a.m. at St. Barnabas on the Danforth Anglican Church, Toronto. Editor’s Note: A reaction to the death of George Cram has been added to this story. I was deeply saddened to learn of George’s passing. As director of refugee policy in the late 1970’s I banged heads with George on many occasions. I didn’t always like his tactics but never doubted his sincerity, commitment and devotion to the refugee cause and existence of Canada’s vibrant refugee advocacy community owes a great deal to George’s passion and leadership. As we were designing the 1976/78 resettlement system it was George who persuaded us to exempt refugees from the point system. I saw a great deal of George when I was posted to Nairobi which he visited occasionally on Anglican Primate’s business. I was surprised to learn he had never seen a game park offered to take him and son camping during his subsequent visit. A few months later we three drove out to Ambosely, in the shadow of Kilimanjaro. The camp ground was deserted but we found secure spot (more or less) and pitched our tent. George heard a noise about 4 in the morning and woke me up. Without getting out of our sleeping bags we quietly unzipped the text flap and peered out. It was so dark we couldn’t even see the stars. Until the elephant moved.